NEW YORK, Mar 04 (APP):Pakistan’s triumph in the air against the intruding Indian war planes last week was “an inauspicious moment” for India’s military that the United States is banking on to help keep China in check, The New York Times reported Monday. “The aerial clash, the first by the South Asian rivals in nearly five decades, was a rare test for the Indian military — and it left observers a bit dumbfounded,” the newspaper said in a dispatch, referring to the downing by the Pakistan Air Force jets of India’s Soviet-supplied MiG-21 in a dogfight inside Pakistani territory on Wednesday. 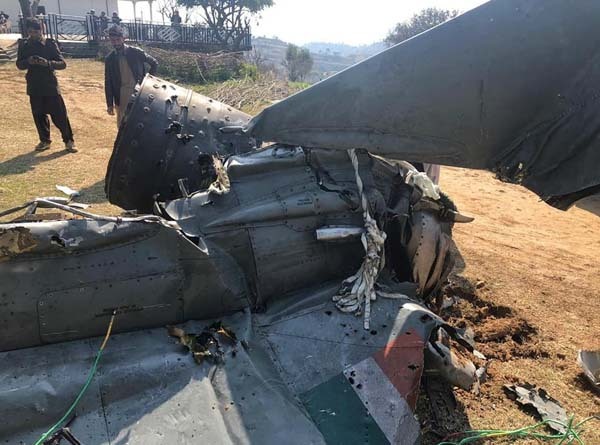 “While the challenges faced by the India’s armed forces are no secret, its loss of a plane last week to a country whose military is about half the size and receives a quarter of the funding was still telling,” the Times correspondent, Maria Abi-Habib, wrote. The dispatch added, “An Indian Air Force pilot (Wing Commander Abhinandan Varthaman) found himself in a dogfight last week with a warplane from the Pakistani Air Force, and ended up a prisoner behind enemy lines for a brief time. The Times said India’s armed forces were in “alarming shape”. “If intense warfare broke out tomorrow, India could supply its troops with only 10 days of ammunition, according to government estimates,” it said. The American military, according to the dispatch, began prioritizing its alliance with India as its close relationship with Pakistan soured over the last two decades. United States officials say that Pakistan is not doing enough to fight terrorism, a charge the country denies. In just a decade, the Times said, United States arms sales to India have gone from nearly zero to $15 billion. “But Pakistan can still draw on a powerful American-supplied arsenal,” it added, without elaborating.